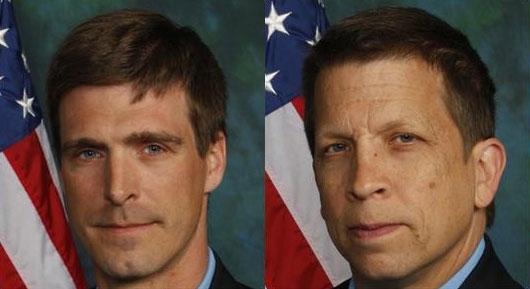 Officials in Wilmington, DE, have identified the two firefighters who were killed in the line of duty on Saturday. 41-year-old Lt. Christopher Leach of Ladder 2 and 51-year-old Senior Firefighter Jerry Fickes of Squad 4 both died while fighting the blaze. Four other firefighters were also injured, two critically. Fire broke out in the basement of a home 1900 block of Lakeview Road before 3 a.m. Saturday. The firefighters got caught when a floor collapsed. Two adults and six children got out of the house safe. Leach was a 14-year-veteran and Fickes was a 13-year-veteran. They were both husbands while children. Saturday was the first Philly Free Streets day in Philadelphia. Miles of city streets were closed to car traffic from South Philadelphia to Fairmount Park. The day was inspired by the road closures last year during Pope Francis' visit to the city. Thousands of people enjoyed the open streets on foot, bike, or skates. There was one miscommunication. Cars left on the street before the start of the event were ticketed by the PPA and towed to impound lots. They were only supposed to be moved. The city apologizes and says it will void any tickets and refund any fines/fees paid. Officials do say that there were “No Parking” signs posted, flyers placed on doors, and robo-calls made to affected residents, all explaining the parking situation well in advance of Saturday.